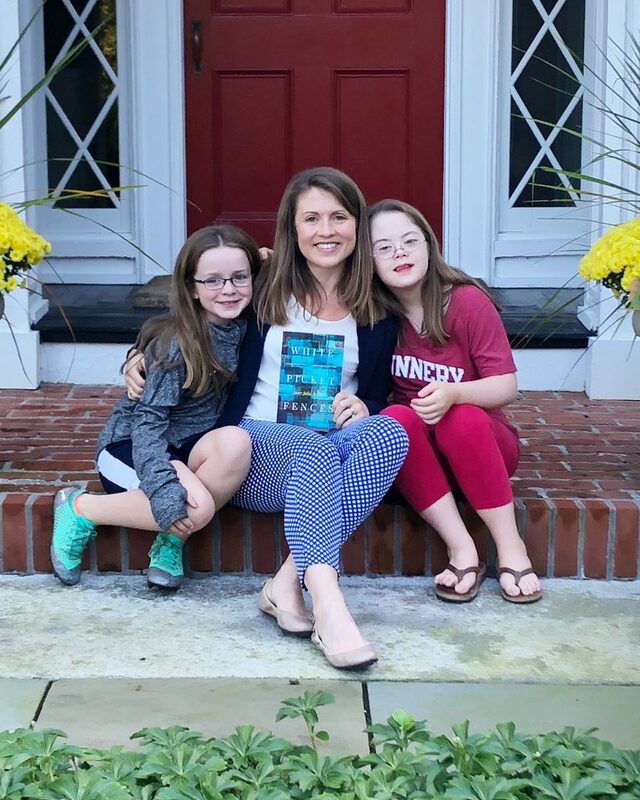 For the past few years, I’ve been working on a memoir about race, class and disability called White Picket Fences: Turning toward Love in a World Divided by Privilege. Getting the language right around these sensitive topics matters in any context, but as a white Christian woman writing for a Christian publishing house, careful attention to every word seemed imperative. The political alignment of evangelicals with the Republican party and President Trump has raised concerns that evangelicals dismiss politically correct language out of hand. And yet evangelical Christians are also known as people with a high view of the authority of the Bible, a text that includes admonitions such as “honor everyone” (the Bible, 1 Peter 2:17, NRSV) and “the only thing that counts is faith working through love” (Galatians 5:6). Both the Old and New Testaments encourage believers to be careful and thoughtful with our speech, restricting hateful words, slander, and gossip, and being “slow to speak” and “quick to listen.” In this cultural climate, Christians need to be doubly careful that language does not create a barrier to conversation. So when I discovered that a proofreader had accidentally typed in the word “whites” instead of “white” when describing people in my book, my editor and publisher agreed that the books needed to be reprinted. Thousands of books were thrown away two weeks ago, and the publication of the book was delayed as a result of one erroneous “s.” It was a matter of integrity, credibility, hospitality, and hope. Throughout the writing process, I tried to avoid catch-phrases that might signal I was taking political “sides.” Words like “systemic injustice” and “white hegemony” can function as code to demonstrate progressive ideology, just as words like “law and order” can signal conservative leanings. Religious language can also exclude: phrases like “born again” or “Bible study” warrant explanation. Clarity in language is essential to welcoming an audience of readers, and I wanted an audience that spanned the political and social divides within our nation. When it came to the particular error of the word “whites,” we insisted on the correction because, as Daniel King and Dodai Stewart have pointed out: Nouns define. Adjectives describe. I am a white person, not a white. My friend Patricia is a black person, not a black. Our personhood defines us. Our ethnic heritage, our religious beliefs, our physical features—they describe us. In a book devoted to upholding the view that we can only explore and understand our differences once we have embraced our common humanity, the language had to reflect that commitment. This “person-first” language more accurately described Penny, but in using that language I also found myself perceiving her differently. Language reflects reality, but it also shapes our perception of reality. In time, her diagnosis receded into the background and her individuality came forth. When I think of Penny now, her diagnosis is one aspect of her personhood that comes to mind, alongside her love for reading, her obsession with weddings, her willingness to risk being late for school because she is practicing the steps she learned in ballet class last night, and her new seventh-grade friendships that involve giggles and nail polish and occasional tears. Christians have a distinct opportunity to offer a message of hope and love in the midst of gaping cultural divides and wounds that have to do with historical and current racism, economic inequality, and bias. The Christian tradition teaches that we are created in the image of God, in the image of Love, and that our purpose on this earth is to love our neighbors with sacrificial, healing, patient and enduring love. Stories are one way to convey that message, but in order for those stories to convey that message with credibility and integrity, we must demonstrate sensitivity with every word. Language is an act of hospitality. Language provides a way to name what is true about our common humanity, even if it means that thousands of books needed to be thrown away. Two additional notes: One, if you received a pre-ordered copy of White Picket Fences from Amazon, chances are you received a copy with the erroneous s (a few hundred were already in the Amazon pipeline when we discovered the problem). Check page 18. If you want a new copy of the book, please let me know and I will put you in touch with my publisher. Two, I discovered the erroneous S, which was an error typed in by someone else. I also discovered that my About the Author at the back of the book contains an error. It says I received a Masters in English from Princeton University, which is not true. I received a Bachelors in English from Princeton University and a Masters of Divinity from Princeton Theological Seminary. When I read this error, I assumed someone on the production-side of the book had created it. But no. It was me. I just accidentally misrepresented myself. It will be fixed in subsequent printings of the book. I write this both to try to correct it in public and also to make it clear that we all make mistakes with language and we all need grace! I pre-ordered from Amazon and received a book with an erroneous S. (That’s kind of fun to say–Erroneous S–sounds like the name of a band.) If you’ll put me in touch with your publisher I’ll replace the book. Betsy–thank you! I will email you with the information you need to replace it. I know! I never asked (and don’t want to know) with whom it originated! And I’m grateful for how it all worked out. But yes. Stressful for all for sure!